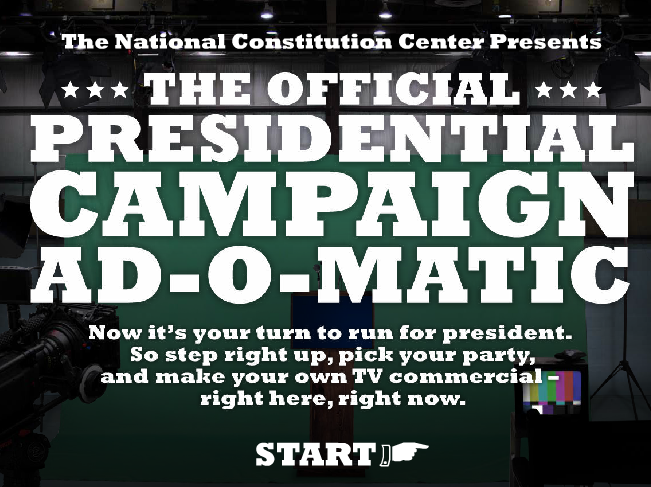 The National Constitution Center currently offers a neat little tool called Adomatic for creating personal campaign ads. To create your campaign commercial enter your name, upload or take a picture of yourself, select a political party, select three campaign issues important to you, then let the tool render a video for you. 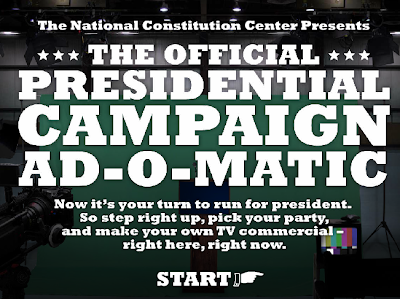 The Adomatic party options are Republican, Democrat, and Great New Party. When you create your video if you choose Republican or Democrat your video will be generally representative of the party's platform. The Great New Party renders a spoof video. I've embedded my sample video below (I uploaded a picture of my dog's face instead of my own). After your students create their videos ask them to think about what aspects of the two parties are represented in the commercials.